A collection of texts particularly accessible to all those who are learning French. The type is larger and the textual explanations are easier to understand. Each title contains: The full text annotated, questions at the end of the chapter, writing exercises and a survey of the writer and his time. Teacher"s Guides are available for $7.95 and contain: The answer key, a guide for optimum use of the text and additional exercises. ISBN: 9782011678324 ISBN10: 2011678323. Written by: Jean de La Fontaine. Softcover, 160pp..
ISBN: 9782011681171 ISBN10: 2011681170. Written by: Molière. Softcover, 160pp..
ISBN: 9782011681188 ISBN10: 2011681189. Written by: Molière. Teacher's guide softcover, 40pp..
ISBN: 9782011679574 ISBN10: 2011679575. Written by: F Marin. Softcover, 128pp..
ISBN: 9782011678423 ISBN10: 2011678420. Written by: Sand. Softcover, 224pp..
ISBN: 9782011678430 ISBN10: 2011678439. Written by: Sand. Teacher's guide softcover, 64pp..
ISBN: 9782011678461 ISBN10: 2011678463. Written by: Agatha Christie. Softcover, 352pp..
ISBN: 9782011678478 ISBN10: 2011678471. Written by: Christie. Teacher's guide softcover, 48pp..
ISBN: 9782011679611 ISBN10: 2011679613. 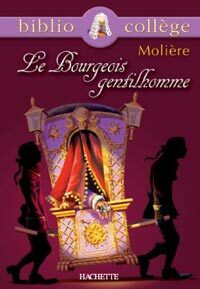 Written by: Molière. Sioftcover, 192pp..
ISBN: 9782011678492 ISBN10: 2011678498. Written by: Corneille. Teacher's guide softcover, 64pp..